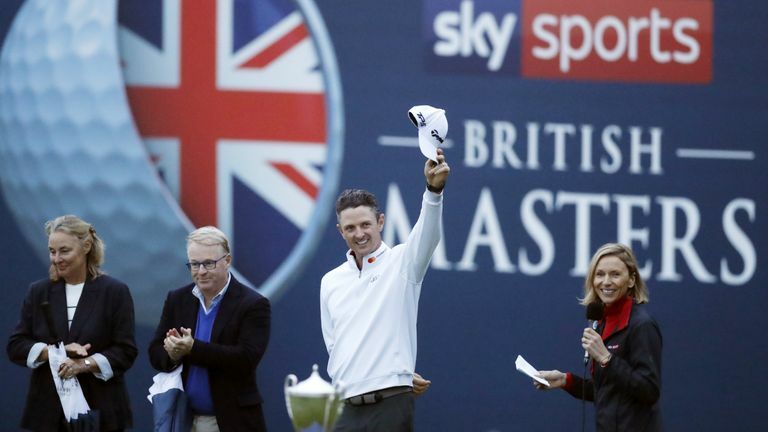 Justin Rose has said it was an “honour” to host the Sky Sports British Masters and was delighted with how the tournament has gone at Walton Heath. Relive the final round of the Sky Sports British Masters at Walton Heath. The world No 2 recovered from a stomach bug early in the week and narrowly made the cut to post rounds of 69 and 70 over the weekend and finish inside the top 10. Rose is the fourth player to take on the role since it returned to the European Tour schedule in 2015, following on from Ian Poulter, Luke Donald and Lee Westwood, with the FedEx Cup champion enjoying the hosting experience. "It has been an honour, absolutely," Rose said. "The beginning part of the week I wasn't feeling very well, but through the weekend it has been so much fun and I've really enjoyed the golf. "I wanted a good test. I felt like the way it [Walton Heath] was set up, we didn't have as many options with tees as we might need really with a northerly wind. "It is a brilliant golf course and obviously I love this style of golf when around 10 or 12 under is a winning score." Playing alongside Austin Connelly, Rose cancelled out a bogey at the fifth by holing a 30-footer at the eighth and adding further birdies at the 11th and 14th. Rose bogeyed the par-four 15th but posted a birdie-two on the penultimate hole to end the week on three under, six strokes back from champion Eddie Pepperell. "Today [Sunday] was incredibly tough," Rose added. "The great thing about this golf course is you can run the ball into all of the greens. Even if you are left long shots, you don't have to force the ball on to the green through the air. "Long two-putting is very tough out there. Obviously the greens have gotten slower as the week's gone on, especially with this moisture. For me it was a fun grind, trying to make something of the week."